So the camera view shows that blue cube in front ob the foreground model. 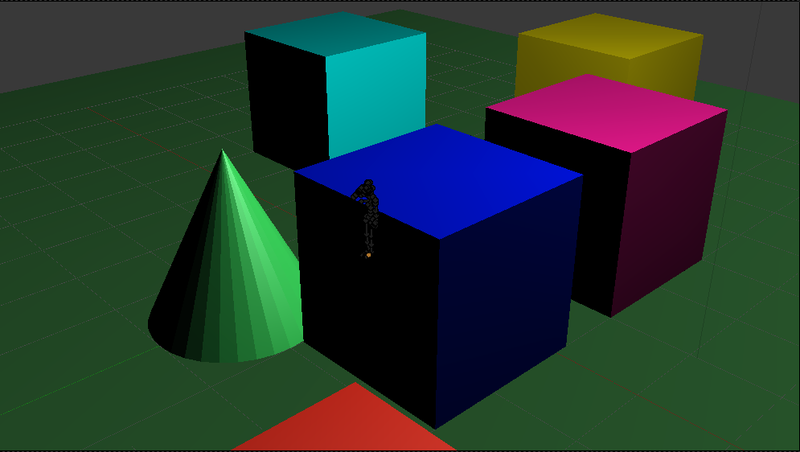 Sending a ray towards the foreground model should thus return the nearest intersection point with the cube. However when I run the following code it doesn't discover any intersection, i.e. the result is 'False'. Transforming the world coordinates to local coordinates fixed it. What is the space used by Scene.ray_cast()?